The Million Pound Drop* returned to our screens this week and, in light of the occasion, this spectacular moment from the last series has thankfully resurfaced. *It’s not £1 million anymore, it’s £100,000. More on that later. For those of you who are unfamiliar with the format, contestants are given a pile of cash and asked a series of multiple choice questions. They then either put all the money on one answer if they’re confident or, if they’re unsure, they can hedge their bets and spread the cash across a number of answers. Any cash put on incorrect answers then literally drops away, securely out of reach, as horrified contestants look on with heavy hearts. So yeah, to keep hold of as much money as possible, you don’t want to spread it out too much or put it on ‘Friends with benefits’. However, if you’re confident you know the answer, you whack it all on the one answer that you know to be right, right? Too give him his dues, Gareth takes the bad news pretty well and manages to keep his composure. 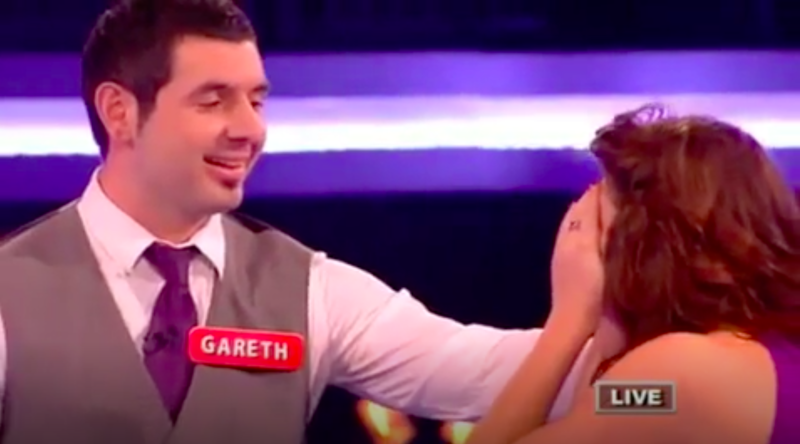 His partner Alex, however, drops to her knees, head in hands, as host Davina McCall reveals the right answer. It’s not ‘Friends with benefits’. People risk large amounts of money as they play the game, that’s kind of the point. But to lose it all on the last question is pretty brutal. For this series, though, people won’t be risking £1 million. This time the show has done it’s own drop and reduced the total to £100k. It’s still a massive amount of money of course, but why the change up? Me: you seen the million pound drop is now the 100k drop? I was a bit worried about it going from the Million Pound Drop to the £100k Drop because I thought is it still gonna have that excitement? Is it still gonna feel like so much money? And it really, really does. When you think about it, two and half grand bundles, it’s so much money. The show looks the same, the vibe’s the same. The same excitement, the same thrill. We’ve gone old school. So…. today I am cracking out another of my cousins rocking pieces! @alicemccallptyltd @alicemccall literally obsessed with play suits… ????? Budget can’t have been slashed too much though, as the show’s producers revealed that they have commissioned 60 new episodes, that’s a potential cost of £6m. But judging by the calibre of some contestants, the producers probably have nothing to worry about.